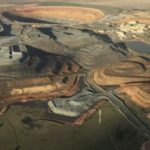 The scope of the agreement includes Evolution’s Mount Rawdon and Mount Carlton mines in Queensland, and its Cowal open pit mine in New South Wales. SRG Global’s existing fleet will be mobilised to attend the sites with minimal growth capital required over the contract term, according to SRG Global. The three-year contract will generate a revenue of around $78 million to SRG Global. It includes the option of a two-year extension that would increase the total contract value to around $115 million over five years. The contract win was considered a significant achievement for SRG Global and its mining services team, managing director David Macgeorge said. “It reinforces our strong working relationship with Evolution and underscores the confidence tier one mining companies have in our abilities as a leading drill and blast contractor,” Macgeorge added. 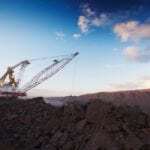 SRG Global has secured other prominent mining and oil and gas contracts in the last six months, including a $20 million contract for drilling works at BHP Mitsubishi Alliance’s Blackwater coal mine in Queensland with Downer, and a four-year scaffolding contract at Woodside Energy’s North West Shelf project in Western Australia. SRG Global was born from a merger between SRG and Global Construction Services (GCS) in September 2018. 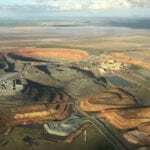 Evolution has two other mines in Australia that are not covered by the agreement: Mungari in Western Australia and Cracow in Queensland. The company has hit its production and cost targets for seven consecutive years, having produced 801,187 ounces of gold at an average of $797 an ounce in the 2018 financial year.